It is 1698 in the Scottish Lowlands. Lord Eric Ashton, brother of famed beauty Lucy Ashton, has requested the presence of seven guests at an intimate dinner. It is well known that poor Lucy is almost demented with fear at the constant spectral visits she has been receiving. She has become convinced that the terrible hauntings have something to do with her pending marriage. She is certain that if she can establish who murdered the woman who keeps haunting her, she will once more feel safe and have the courage to break her unwilling engagement. Is Lucy deranged? Does Lord Eric know more than he appears to? Who was this ghostly apparition when she once was flesh and bone? Come along to this unique murder mystery dinner, where you will be transported back in time to solve a heinous crime, thereby freeing poor dear Lucy from her torture. 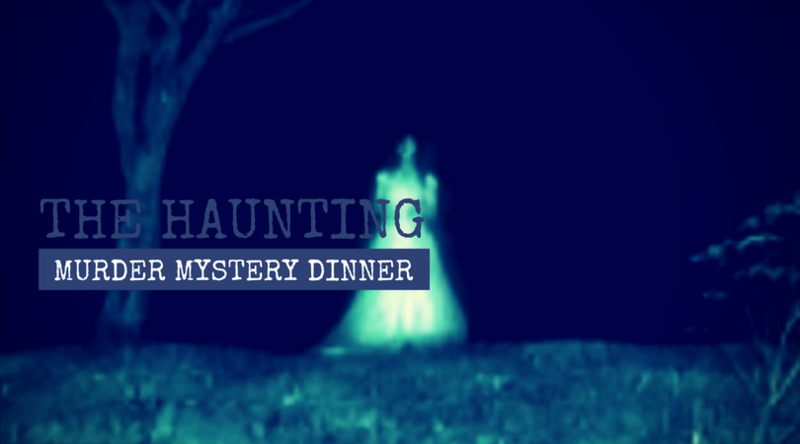 Join us for a night of delectable cuisine, delightful drinks and dangerous intrigue at our Haunting Murder Mystery Dinner. Over a memorable 3-course meal, you will become both suspect and detective as you attempt to solve a gruesome crime. Do you have what it takes to figure out whodunit?